« Linux Free Memory: Is It Free Or Reclaimable? Yes. When I Want Free Memory, I Want Free Memory! Words About Oracle Direct NFS On Sun Storage 7410 And Chip Multithreading Technology (CMT) For Oracle Database 11g Release 2. My old friend Glenn Fawcett and I have been teaming up on Sun Oracle Database Machine DW/BI/OLTP performance engineering work, but last week Glenn told me he had an opportunity to put a late model Sun T5240 CMT system through the OLTP wringer. After consulting with me about workload options I set Glenn up with one of my favorite Pro*C Order Entry OLTP workload kits (no, it’s not TPC-C). We thought it would be quite interesting to compare a T5240 to a Sun Fire 4100 (the compute nodes in a Sun Oracle Database Machine) in a head to head test. Nothing official, just pure science. That work is still underway. What Storage To Test With? The storage option that became available to Glenn was a Sun 7000 NAS device (a.k.a., project Fishworks). I recommended Glenn set up Direct NFS in order to efficiently drive the storage. I see that Glenn has posted some Solaris Direct NFS related information as a result of his efforts over the last couple of days. I recommend Glenn’s post about Solaris Direct NFS Configuration and Verification and Glenn’s new fledgling blog in general. My Blog Posts Prove Oracle Doesn’t Support NFS! Mount Options for Oracle over NFS. It’s All About the Port. Manly Men Only Deploy Oracle with Fibre Channel Storage – Part I. Oracle Over NFS is Weird. Manly Men Only Deploy Oracle with Fibre Channel – Part IV. SANs are Simple, RAC is Difficult! Manly Men Only Deploy Oracle with Fibre Channel – Part VI. Introducing Oracle11g Direct NFS! Manly Men Only Deploy Oracle with Fibre Channel – Part VII. A Very Helpful Step-by-step Install Guide for RAC on NFS. 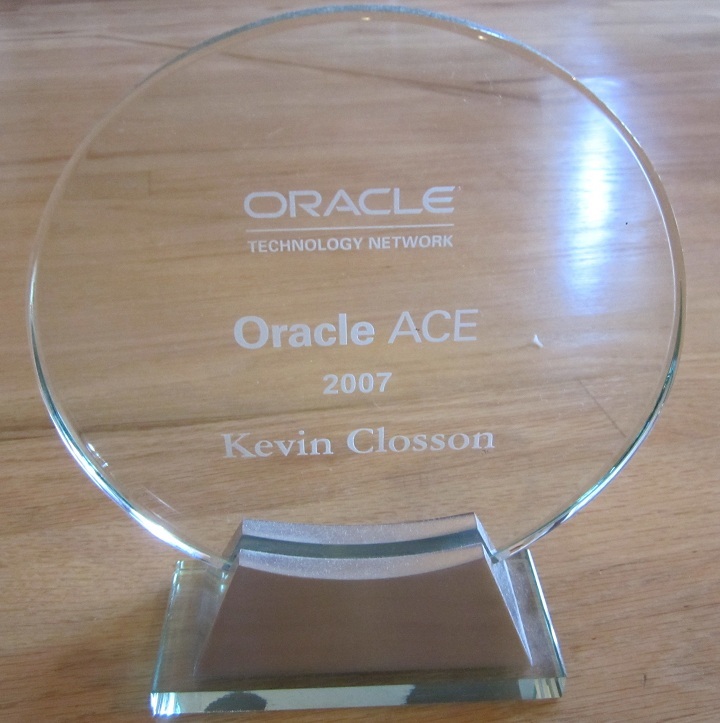 Manly Men Only Deploy Oracle With Fibre Channel – Part VIII. After All, Oracle Doesn’t Support Asynchronous I/O On NFS! And, CFS, NFS Topics here. …I’ve been analyzing the results thus far. I have to admit that I’m actually quite surprised at how well that little CMT box is holding up in the shadow of the mighty Nehalem EP on a per-socket basis. I’ll probably have to give significant thought to what is politically expedient to blog about once I’m finished with my analysis. NFS files—NFS files are suitable for testing, but are not a recommended configuration for production environments. Using NFS files with ASM duplicates ASM functionality. Your thoughts ( resources if any ) about using ASM with Direct NFS ? In my opinion the best value add ASM can have in an NFS environment is to set up normal redundancy between filers. If you don’t think your filers will ever fail, then you can get cross-filer striping by using ASM with normal NFS files and external redundancy. Either model is supported. Saying “NFS files with ASM duplicats ASM functionality” insinuates that all NFS files have the same RAID characteristic underpinnings that ASM offers and that is simply not the case. True, most filers implement mirroring and striping underneath the file system that is being exported, but it is not safe to state that matter-of-factly.